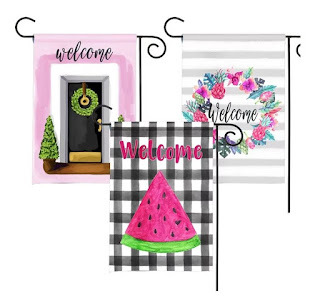 Check out these *POPULAR* Garden Flags | New Designs $8.45 (Retail $16.99). Nothing says Summer better than Whimsical Garden Flags! The perfect way to warm up any yard, garden or patio. $2.85 for the first item and $1.10 for each additional item. US only. Ships no later than Sun, Jul 29.